The South has thunderstorm predictions. Arizona has heat wave warnings. Seattle has flood advisories. As for the Last Frontier? Well, we have our forecasts for Northern Lights. 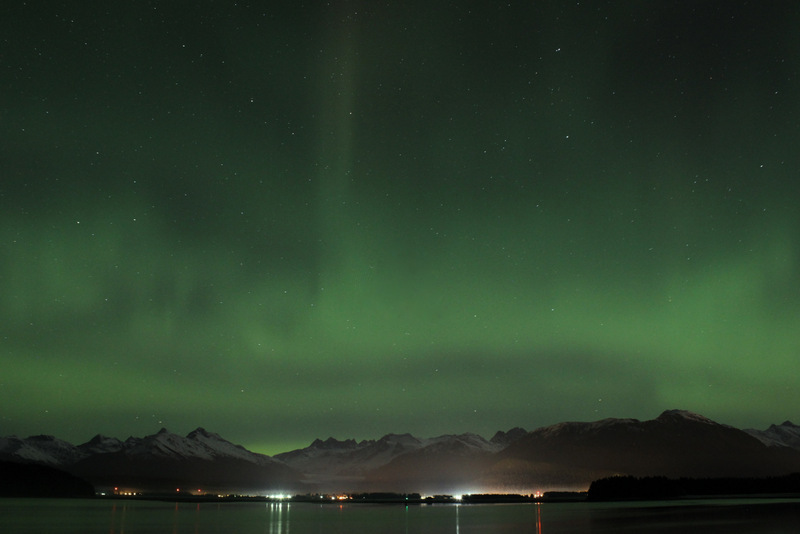 When auroral activity is projected across most the state, Juneau typically sighs a collective groan. Our skies are usually too overcast or rainy to view the Northern Lights. So imagine my surprise post-midnight on November 15 when I just happened to look up to the heavens and - lo and behold - wisps of green light high above Mount Roberts. My favorite viewing spot is on Douglas Island, between the North Douglas Boat Launch and False Outer Point. The photos below were taken from the roadside looking across the Gastineau Channel toward the Juneau International Airport and the majestic Mendenhall Glacier. The Northern Lights have a soft spot in my heart. I launched this website in 2012 with my first blog about the awe-inspiring aurora. Two years later, the dancing night sky still doesn't cease to amaze me.